Tour Groups (20 visitors or more) can take advantage of our group rates and guided or self guided tours. A group menu is available at Restaurant Sainte-Marie. Free ample bus parking on-site. Step back in time to 17th century Canada on Georgian Bay. Experience Ontario’s oldest European community and one of Canada’s National Historical Sites. Explore, hear the legends in the Longhouse and join in. 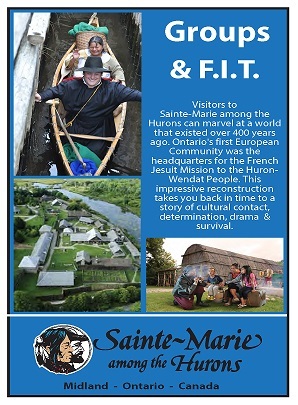 Touch history, and experience life at this historic French Jesuit mission in the heart of the Huron-Wendat First Nation. Sainte-Marie now stands re-created on its original location where the compelling story is brought to life. 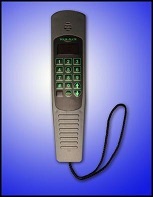 Audio wands for self-guided tours available in English, French, German, Spanish, Italian, Dutch, Polish, Russian, Japanese, Portuguese, Standard & Simplified Chinese.